Family Winery Our Roots - Pillitteri Estates Winery Inc. The story of Pillitteri Estates Winery begins generations ago in the heart of old world Sicily. 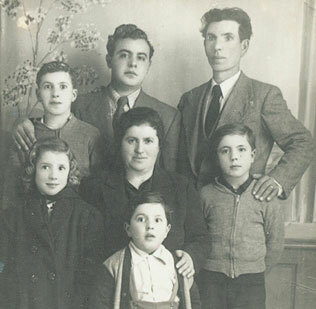 Grape growing was the way of life for the Pillitteri family in Racalmuto. Growing up on the family farm, Gary was soon responsible for helping his father and grandfather with the harvest and the tending of the vines. In 1948, Gary, at the age of 12, and his father, set off to establish a new life for the family in Canada. They settled in the Niagara area and shortly thereafter were joined by the rest of the family. In the summer of 1957, Gary was introduced to Lena Agro, a young girl whose family was from the same town in Sicily as the Pillitteri family. On June 18 of 1960, Gary and Lena were married. Their family soon flourished. They welcomed their first born, Connie, on September 23, 1961. They welcomed their second child, Lucy, on February 23, 1963 and they welcomed their third child, Charles, on August 2, 1964. On December 15, 1965 Gary and Lena Pillitteri settled in Niagara on the Lake to raise their family. They purchased a small fruit farm on Niagara Stone Road. 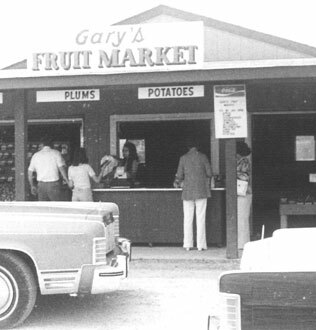 The land was planted to tender fruit (peaches, cherries, pears, plums, prunes, apples, and grapes) and vegetables and in 1973 they opened Gary’s Fruit Market (which actually still operates today in the east wing of the winery). Over the years, the family owned “Gary’s Fruit Market” grew into a bustling destination of interest for visitors to Niagara-on-the-Lake and locals, as did the interest in wine from Niagara. Soon after the first Niagara wineries opened, Gary took the initiative to begin planting wine grapes and started the first of the family’s Niagara vineyards. By 1988 Gary decided to experiment by making a small batch of Vidal Icewine. The Icewine was later entered into a wine competition where it won a gold medal. This achievement solidified the idea to open a winery in Niagara’s newly emerging wine industry. During the next 5 years the farm and the market underwent several changes to convert the property into a winery. Ready for business, on June 5, 1993, the winery opened with a capacity to produce up to 16,000 cases. Through hard work, the wines began to achieve many awards, nationally, and as well on an international level. The grapes are harvested primarily from the family’s vineyards of just over 100 acres, planted with vitis vinifera and French Hybrid grape varieties. Following the exacting standards of the VQA (Vintner’s Quality Alliance) production has increased steadily since the winery’s opening, and currently stands at 100,000 cases. The winery’s production facilities have recently undergone a major expansion, although growth in production is carefully controlled to ensure that the family’s high quality standards are maintained. Today our winemaker Aleksandar Kolundzic is known to craft fresh aromatic white wines and deep age worthy red wines to please most palates. The story of the Pillitteri Carretto is one of great importance to the family and the winery respectively. A Carretto or Sicilian Cart was the only real method of transportation used in Sicily up until the end of the second world war. They could be large enough to be pulled by donkey or oxen, to transport a family and their belongings, or small enough to be pulled by hand to bring wares to market. Their usefulness and smaller design made them popular, long after the invention of the motorized vehicle, to navigate the streets of Italy. The Pillitteri Family had four Carrettos that were passed through the generations. The Pillitteri Carrettos were crafted in the early 1930’s by an artisan known as Giovanni Sena Ispica. The Carrettos were brought to Canada by Gary’s mother in 1952. 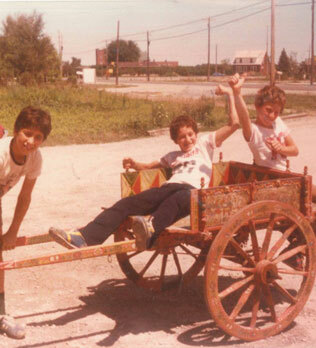 Gary and each of his brothers received a Carretto as a token of their Sicilian family heritage. The largest and most beautifully decorated of the Carretto’s was donated by the Pillitteri family in 1989 to the Museum of Civilization in Ottawa. It is still on display today. The Carretto that was received by Gary is on display in the Awards Room at Pillitteri Estates Winery. It is intricately hand painted and depicts the theme of the Moorish Invasion. The artwork is exquisite and bears a latin verse ‘Ferra Bastona A Mineo” (translated: wood and steel carved by hand) in the steel work near the axle of the cart. There are few, if any, Artisans left today and Carretto’s are somewhat of a collectible item that has become highly sought after. The Pillitteri Carretto is a cherished family heirloom and to honour that heritage, it has become a symbol of our winery and our logo. 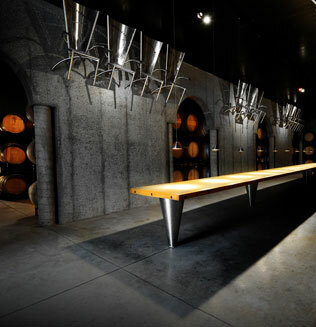 The architectural intent of the winery’s barrel cellar design is Neo Norman. A sense of antiquity is evident in the concrete texture and form and simplicity. One thousand three hundred and fifty metric tons of concrete were used to construct the cellar. The immense and impressive monolithic concrete table with its terrazzo surface remains the cellar’s focal point. The table measures 500 inches in length and is arguably the longest concrete table in existence. Additional and stunning features are the twenty-three stainless steel chairs displayed on the walls above. The chairs symbolically tell the story of the family of Gary and Lena Pillitteri and are specially engraved to commemorate significant dates in the history of the winery. The position of each chair at the table is indicated by a small triangle above one of the 23 circles on the chair’s back.. The Barrel Cellar, while being a handsome sight, is primarily a wine cellar. It meets the essential criteria: a constant temperature of 12° C (54° F), relative humidity of 50 to 70%, no vibration and protection against light. Barrel aging of wine is a convention that dates back over 2000 years. Oak barrels have traditionally been used for storing and aging of wines, contributing to the character development of the wines and enhancing flavours and aromas. The barrels at Pillitteri Estates Winery are of French and American oak. For Gary Pillitteri, the opening of Pillitteri Estates Winery in June of 1993 was the culmination of a lifetime dream. Since arriving in Canada from his native Sicily in 1948, and through many years as a grape grower in Niagara and amateur winemaker, his goal had been to open his own winery. The turning point took place five years earlier when Gary won a gold medal for his Icewine in Niagara’s amateur wine competition. He knew then that he could make his dream come true. But he had been thinking about early retirement and could only build a professional and high-quality winery with the expertise and full commitment of his family. Pillitteri Estates Winery is truly a family enterprise: Gary’s son Charles is C.E.O. President of Sales, daughter Connie is C.F.O President of Operations, daughter Lucy is C.M.O. President of Marketing, son-in-law Jamie Slingerland is Director of Viticulture while grandsons Richard and Jared are the V.P. of Sales and Export Manager respectively. The grapes are harvested primarily from the family’s vineyards of just over 100 acres, planted with vitis vinifera and French Hybrid grape varieties. Every member of the Pillitteri family has worked on the farm and at the winery. Today the 5th generation family members, Gary and Lena’s grandchildren manage the growing export side of the business, travelling around the world promoting Canadian Icewine.